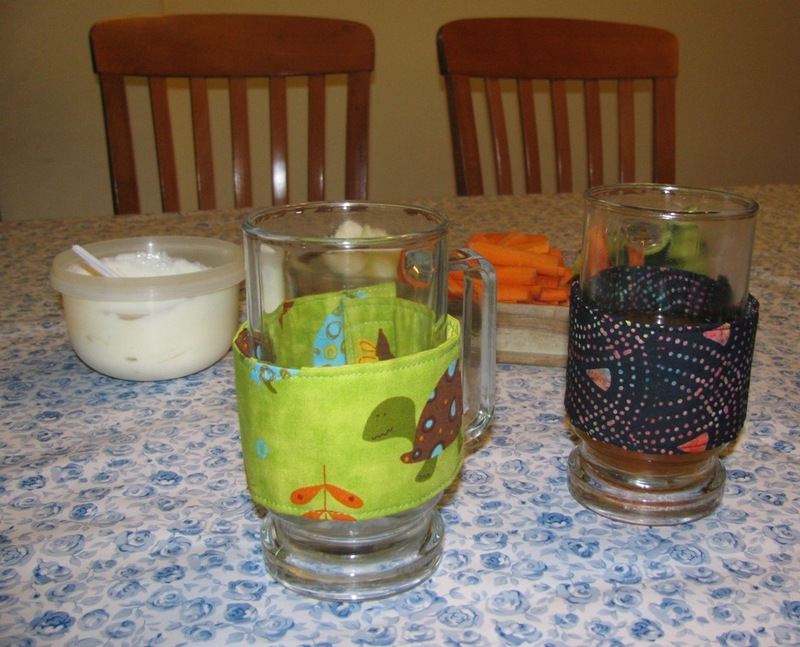 My girlfriend, Judy, asked me to make a cup cozy for every member of her family. 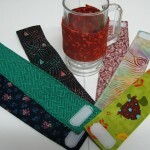 What is a cup cozy you may ask? 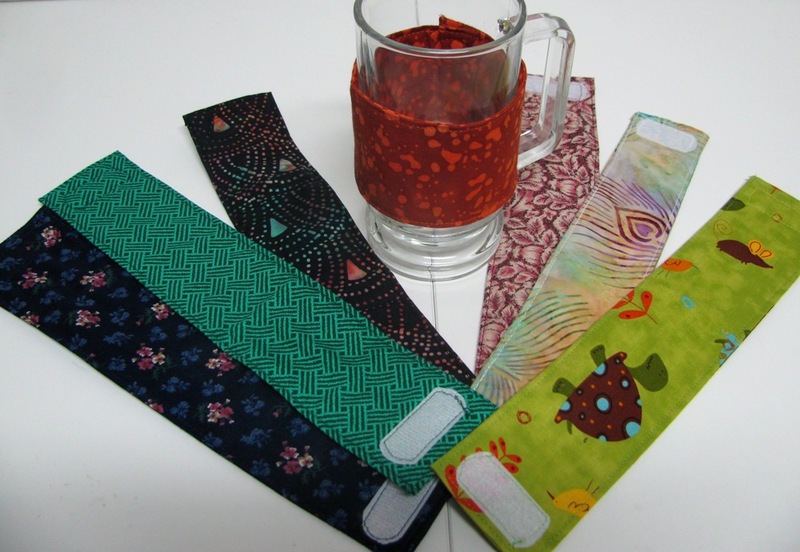 This version of a cozy is a cup sleeve that attaches with Velcro® around each cup to identify it, since each cozy is made from a different fabric. 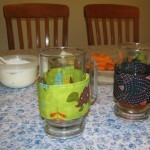 Judy has five kids, so this ideal solution is a practical alternative to the constant washing of cups. These will soon be available on my Etsy shop. But if you are in a rush, contact me and you can select your colors right away!